Personality: Belsarius is a very regal creature, generally looking down upon others apart from his Queen Solarion whom he views as a greater and will do as she wishes. He is not some mindless slave though and does possess intelligence and initiative, doing what must be done and showing himself to be rather ruthless when it comes down to it. Belsarius is not a normal Stag, at all. First of all is his height, he stands in at twelve foot tall at the shoulder and several hundreds upon hundreds of pounds. His body is coated in a thick layer of soft, brown fur that shimmers in light while flowers and small vines grow out of it, dying after a few seconds to grow again elsewhere. 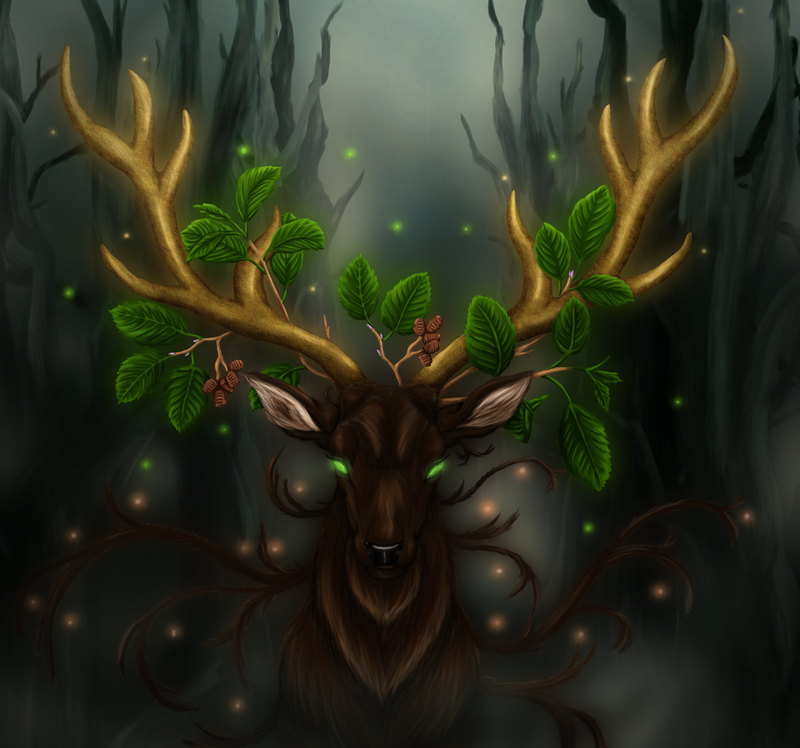 Much the same happens upon his antlers, large and made of some kind of wood, flowers, vines and leaves growing from the wood before breaking down and regrowing once more. His eyes, as befits what he actually is, that being one of the most ancient Stags alive, are glowing a deep, forest green. His voice is deep and regal as is his bearing and due to him being an animal he of course doesn't wear any clothing or anything like that. 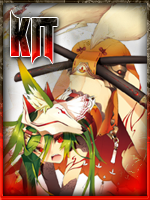 Abilities: The King of the Forest's first ability is that he is able to use any Nature type technique that Solarion knows at 50% of the mana cost due to his natural affinity for Nature, able to call upon it almost at whim to bind it to his will and make it do as he wishes. This makes him a powerful Nature mage but the problem is that he has to draw upon knowledge that his Master or Mistress already has to actually use any spells. His second ability is that he is able to absorb the natural energy that permeates the world itself and draw upon it to restore his own mana reserves or the reserves of others. Every post that he remains in contact with the ground or some kind of plantlife and doesn't move he generates fifty mana points that he can either give to himself to restore his own mana or give to anyone else within his control/10 meters, allowing him to restore the mana of allies to keep them in the fight. His second ability is that he is a passive mana sink. As long as he maintains contact with the earth he is able to draw upon the life force of it to refuel him with power or to spread such power to others. Every post that Belsarius maintains contact with the ground he can gather up 200 mana points that he can spread to anyone that he touches or give it back to himself. If he moves that post however he only generates 100. No. I will not approve a 'passive' mana sink of any sort. Especially one of that magnitude. 200 mana points is a lot. Even if it is 100 while moving. If you want him to be able to draw mana from nature, he must be stationary to do it at all and remain stationary for the entire post that he is doing so. The rate can be 50 mana points per post.